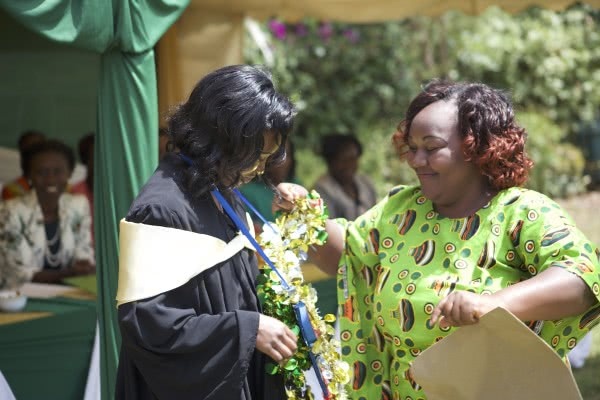 She initially enrolled for a one year course where her exemplary performance earned her a scholarship from the Maite Iglesias Foundation that enabled her to take up the the KNEC (Kenya National Examination Council) Craft Certificate in Catering and Accommodation Operations. 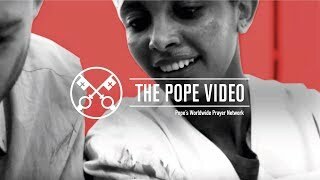 She excelled in her exams and was awarded a Distinction by the KNEC. 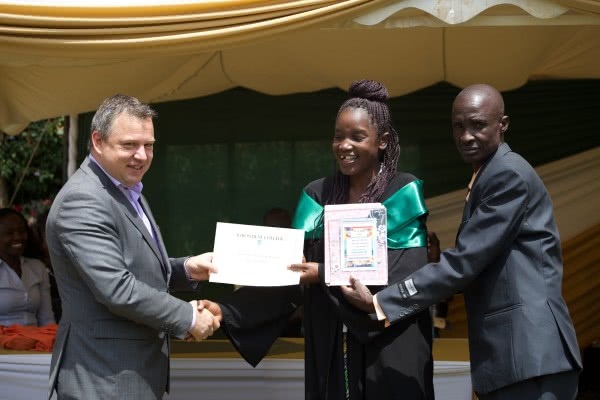 Mercy and 100 of her classmates graduated on the 12th of January 2018 in a colourful ceremony graced by Mr Carsten Wappler, the Managing Director of Park Inn by Radisson. He encouraged the graduands to be enthusiastic about the service profession and its capacity to make others happy. 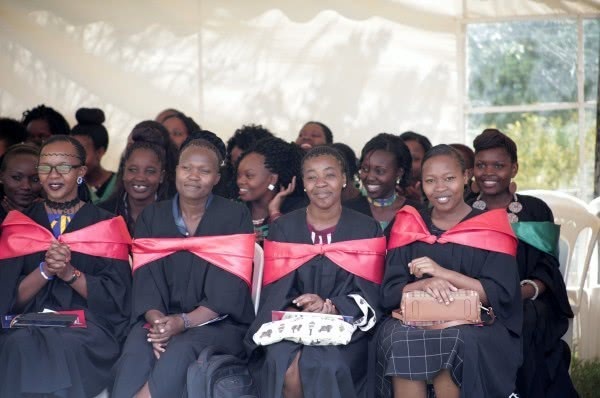 For more information on Kibondeni College, you could visit their website here or their Facebook page.